It is said that the eyes are the windows to the soul. A soul that sees and experiences so much each and every day. It is a way of communication, of receiving, of giving, of sharing, of connecting, of bonding. Many a song has been written about eyes; “Sad Eyes,” “Eye of The Tiger,” “These Eyes” for example. My personal favorite is “In Your Eyes” by Peter Gabriel. That song has always moved me. When I got older I felt the words come alive as I looked into a lovers eyes and finally saw myself, my beauty, my worth, my value, for myself as well as for the other. Truly moving. Have you ever stopped and thought about all that you have seen? Witnessed? The Sadness and Pain… in other peoples’ eyes as they go through life carrying their burdens and perceptions. Of being betrayed, lied to, stolen from, of being taken advantage of. My own pain of seeing the horrific injustices done against others and myself, realizing that humanity seems to be dwindling in compassion and connection at times. The Joy of …children laughing and playing, of contentment of those who have found peace and stillness, of people gathered together in celebration. The Happiness of complete strangers exchanging glances with me as we pass each other on the street, never to see each other again yet we will each remember the other because of the smiles in our eyes that we have shared. The Fear of being seen… for a myriad of reasons, for safety, of prejudice, of lack. The Surprise of… receiving an unexpected gift, idea, party or news. The Lust… that blinds others in their quest for connection, power, control, pleasure. The Anger of… a maniac, a drunk, a bully, of someone so out of control that they got completely absorbed by and lost in their anger. I have seen the Anger of someone who was wronged, hurt, insulted, denied. The Love of parents, of children, of friends, of lovers, for nature, for pets, for God. The Shock of… a loss, a gain, unexpected information, denial, death and even life. 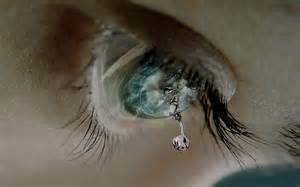 There have been many wonderful Happy tears, and countless, seemingly never ending tears of sadness. I have heard of angry tears but have not experienced them myself. Have you? My eyes are your eyes. Have you ever “shut” your eyes to not see something? Someone? Because you just couldn’t bear it anymore? Because you didn’t know how to handle something, not know what to say? To do? What color are your eyes? What colors of makeup do you put on your eyelids? Eyelashes? Does makeup enhance your beauty? Do you use it as a mask to hide, deceive, entice? Do you wear it all the time? Never? Just for special occasions? Do you wear glasses? How do they make you feel? Do you wear contacts? Are they clear or colored/designed? Do you take care of your eyes? Get regular checkups? Use wrinkle cream? Day Cream? Night cream? What do your eyes reflect? Covet? Admire? Despise? Whose eyes do you avoid? Why? Whose eyed could you gaze into forever? Have you ever looked into your own eyes in the mirror and said “I love you,” “Great job,” “You rock!”? If your eyes could speak what can they tell me that they have seen? I really love this post. I will never think about my eyes the same way again. Thanks for sharing this perspective. What an interesting perspective! I’ve never really thought about my eyes. Mine have seen their share of happiness and heartache. I think everyone’s have. Bette Davies Eyes was the first song that jumped into my head as I read through your lovely post; very thought-provoking. I’m going to share this post with my followers AND keep it safe, as I’m going to use your questions as personal journalling prompts over the coming weeks – thank you, really inspiring. PS I could look into ANY baby’s eyes forever – they truly are the windows to our soul. Everyone comment on our sons eyes. He has the most piercing blue eyes framed by beautiful long, thick, dark lashes. He lives with autism and there is nothing more uplifting than those moments when he can make eye contact – it really does open a window into his beautiful soul. You don’t appreciate the importance of eye contact until you don’t receive it from someone you love. Then every second of it is incredibly precious & meaningful. Right now my eyes are itchy and aggravated. LOL. Aside from that, I really enjoyed this post. Gosh, I do not take care of my eyes like I should. Recently I have been staring at a computer screen more and more due to a job change where I am doing more graphic editing. I am due for a checkup, and I am certain that I would qualify for glasses or contacts. I currently wear neither. 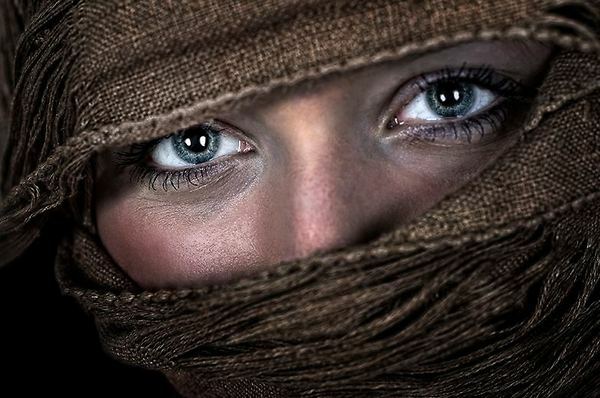 Eyes are indeed a very powerful window into another person. Sometimes it’s hard for me to make eye contact when someone is angry or hurt. I close my eyes to movies all the time. It’s like the combination of both sight and sound is too much sometimes. Lol Ashley. I have done that. For scary parts and bloody parts. Sometimes I miss half the movie because my eyes are closed. I think that it is so true that your eyes see so much like grief, happiness, anger, sadness, pain, joy, surprising moments in life. I have seen and gone through so much in the past two years that sometimes I may want to close my eyes when I feel too much negative energy in my life, but I encourage myself to stay present in the moment and keep my eyes wide open and stay present for my children. Thank you for sharing this article! I’m the only member of my family that has 20 20 vision so I tend to look after them a lot. I always sunglasses whether in winter or summer. So I’ve avoided too many wrinkles in that area. I should have used some sort of cream to protect them more but I’m not much of a pampering kind of girl. Thanks for stopping by Tina. I will have to be more mindful about remembering my sunglasses. I forgot them for the past 2 days and have been uncomfortable. Have a great day. So True Donna! We communicate with our eyes more than we even know. I so enjoy seeing the universe in my partners eyes! Wow Donna! This post is soooooooo beautiful and thought-provoking! So much can be seen through people’s eyes! Strong, powerful connections can be made. Trusting relationships can be built. Truth can be told. Kindness can be shared. Humanity can prevail! I love this post. I am always drawn to a person’s eyes especially when they are bright and/or a really pretty color. I always wished I had really pretty eyes. Mine are brown. I always think of that as being kind of ordinary. Hi Jeryl. Thank you for posting. I have brown eyes as well. Over the years I have embraced the color and now consider them to be beautifully brown eyes. 🙂 Have a great day! My eyes are like a guide. I have a family member with some memory loss. I can help by showing where things go or not to step here or there. I really liked reading about how we use our eyes! Eyes truly are the window to our soul! I always am doing something with my eyes, whether it’s putting on makeup, taking if off, wearing contacts,or wearing glasses. This is a great perspective! Hi Lindsey, thank you for commenting. Have an awesome day! I have always been attracted to eyes. I even like actors based on the emotion that they can put in their eyes that perfectly match the character and the situation. Hi. I admire actors that can get so into their roles that they can ‘own it’ by being able to convey the character that they portray through their own eyes.what a gift! What a beautiful poetic post. My eyes have been really tired lately. When they get rest, my soul gets rest as well. My eyes are lucky to not have seen as much horror as others all over the world. I am grateful for what my eyes have seen. Hi Shauna. I am grateful for all the wonderful things I have seen. Life can be quite beautiful 🙂 thank you fo r stopping by. This is a beautiful post. Eyes are expressive and windows to our soul but I had never thought about them this deeply before. This reminded me of a cover for National Geographic Magazine. I don’t remember the name of the girl, but the cover focused of the eyes of the girl. There was grief and so much rage in those eyes. Hi Chaitali. I remember that National Geographic post too. I remember the original one and then another story many years later when the reporter finally found the woman after years of searching for her. It is a very sticking picture and story. I have a Pet Blogging colleague who is partially sighted, thanks to her I always make sure my blog post is readable by ‘readers’ and does not contain a lot of fancy ‘stuff’. It is often thanks to the perspective of others, like your post, we learn to see our gifts in a new and different way. Such an interesting series. I love all the different ways you explore our eyes and what we see. There are just so many emotions we can see and experience with our eyes. You’ve also reminded me that I need to take better care of mine, so thank you. Thank you! It’s amazing what our eyes experience and share. Have a wonderful day, please stop by again. I forget so much what a miracle eyes are – the amount of things that we are blessed to see every day is something we should be thankful for. 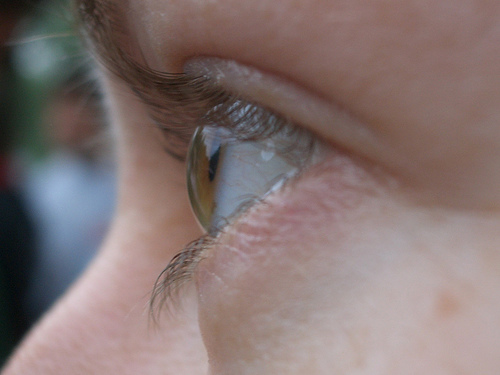 This is a very thought provoking post on the revealing quality of our eyes. It is so very interesting how much a truly perceptive person is able to gather from simple eye contact. Thank you for sharing! Hi Denise. Thank you. Yes our eyes are quite an experience! Thank you Natalie. It’s wonderful how we can see something once and the memory can stay with us forever. What a fantastic way to “see” things (no pun intended). I love words that cause me to think and reflect. Thank you for that. Lol. Thanks Raquel. Have a great day! Thank you for the meditation on eyes. There are a lot of insightful ideas contained in the post. Have a wonderful day. They eyes have it! This is a great post. Makes you stop and appreciate the privileges of sight. Yes, the eyes reflect the soul, don’t they? I enjoyed this meditation on our eyes… thank you! And the EYES have it. Lovely post. What a wonderful tribute to eyes, I really enjoyed it! I do tend to close my eyes when I don’t want to see something, or at least cover them. It can be a comforting way to block out things. I do wear glasses, making the move to bi-focals that make me feel old;) Yet grateful I still have my vision, and that there are lenses to help me see better. I do take care of my eyes with annual exams, I use a moisturizer with SPF in the mornings, and night cream before bed. I wear sunglasses if I’m outside. Very interesting subject! The eyes truly do tell all, I think. Happy or sad, mad or glad, disappointed, joyful, and, of course, in love. I always think I have a pretty good poker face but my eyes endlessly give me away. I’ve cried out of anger many, many times. Out of joy, too. I actually cry a lot. Hi Lisa. It feels as though I cry a lot too, lol. I used to have a poker face…no more! My eyes and facial expressions give me away every time! Have a great day. Sounds like an interesting series for sure. Eyes…yes. So much going on within them. One question you asked was if you ever turned a blind eye to someone’s suffering…not if I can help it no. I always try my best to reach out. Great post! Thank you for stopping by Carolann, have a wonderful day! 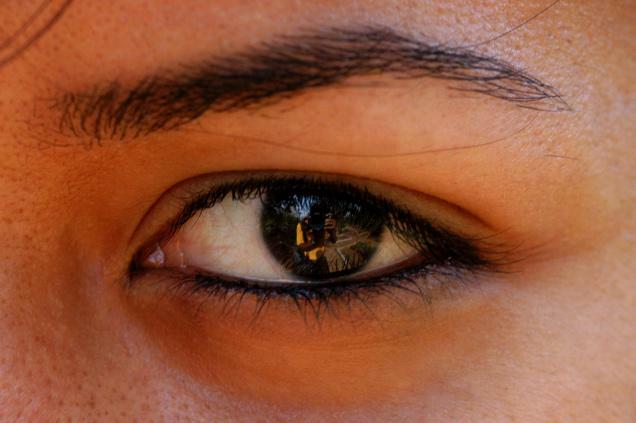 Thanks for sharing this post on the power and beauty in a person’s eyes. Thank you Estelle. Have a great day. I’ve been told that my eyes look very mysterious and people always have a hard time reading me. I think that’s a good thing because I love having a little mystery especialy when people gaze into my eyes. Thanks for this wondrous post! Hi Ty. MMMMmmm the mystery. I remember those days. I bet you have fun with that aspect of your eyes, lol. Have a wonderful day. Since it’s getting late, all I think about is how dry my eyes feel! Seriously, this was a great post. Lots to think about. Thank you Janie. Wishing you and your eyes a wonderful rest. Thank you for stopping by. Thank you for the beautiful post! Eyes are the most amazing part of the human body to me. The fact that we can take in images of everything around and the brain processes them so that we can perceive what is going on is really kind of astounding. And I love that people can see the same things a little bit differently. Great post! This was such a lovely post to read. I have actually experienced ‘angry tears’ – when my level of frustration has reached a boiling point and I feel helpless in truly expressing myself – that is when ‘angry tears’ come out. I also turn noticeably red in the face when this happens. I have this distinct memory in high school when one of my friends said out of the blue how pretty my eyes were. It was the first and only time I had heard that before – never thought of mine as pretty since they didn’t seem like a ‘nice’ color or anything…now that I look back…maybe it wasn’t the color the comment stemmed from. So true. Our eyes have seen so much, happiness and sadness alike. Very moving. Hi Jennifer. Thank you. Have a wonderful day! I actually have 2 different colored eyes and people comment daily on them! Hi Cher. You have a unique name AND eyes. Have a great day, thanks for stopping by. Very interesting! I never thought of these things. Hi Tanya. Thanks for stopping by. Now I have some songs in my head! This is an interesting post, as you don’t often reflect on something as everyday as your own eyes. I value my eyes and try to keep them healthy as over the years I have progressed to legally blind (but corrected with lenses). This is a really cool post. I enjoyed reading it. Thank you for sharing. I look forward to reading more in this ‘series’ from you! Hi Brooke! Thank you for stopping by. The next “These….” will be here very soon 🙂 Have a beautiful day. Whoa, this is such an eloquent post. I have never thought about the eyes this way, and I do love Peter Gabriel’s song. Hello Nicole. Thank you so very much! The blog post evolved more and more as I wrote it. I am actually OBSESSED with Peter Gabriel’s song. It was the inspiration for this post. Have a fantastic day! What a beautiful post! We should all enjoy looking at each other and giving eye contact especially after reading this. Thank you Kari! Have a wonderful day! Beautiful photos! I love close up pictures and eyes are fascinating. Great article! I have never really thought of “eyes” so in depth but your article is so true there is so much that the eyes can “say”! Hi Jill. Yes indeed, its one of the busiest and most beautiful parts of our body. Have a great day. What a beautiful post! You had me thinking about everything I have seen and experienced in my life. The eyes are truly gateways to the soul! Thank you for sharing! What a lovely post. I had never thought about eyes in this way before, but I don’t think I’ll be in another way again. I love looking into people’s eyes. I love the depth and the variety of colors. Eyes are interesting. It’s always interesting to see what color someones eyes are. This is very much the case when a child is born. Beautiful post. I think the eyes tell you everything you mention here. It’s hard to hide, when you really look. Such a beautiful post. The eyes are such a revelation through this post, and the layers of thought is just magic. Love this! Thank you Ramya! It evolved as I wrote it and it was such a pleasure to realize what a true gift it is to not only see but to experience the world through our eyes 🙂 Have a wonderful day. I look at and through my eyes every day and I write about what I see, every day. I’m reminded of the song… “These Eyes….” my college years…my high school years….ah, these eyes…. These eyes have seen it all, that’s how I feel most of the time. Beautiful thought provoking words. I am doing my best to keep my eyes closed today, to rest. woooooo whoooo so excited to be a part of this!!!! !